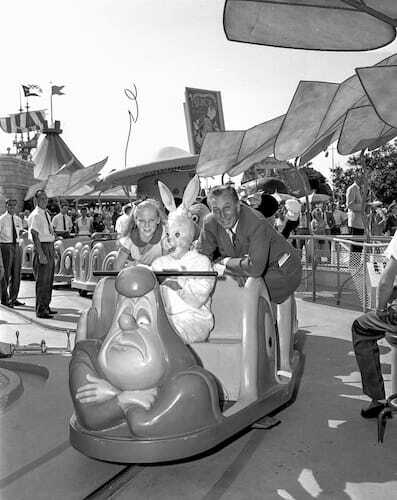 It’s not an unbirthday, however, exactly 60 years ago today, Disneyland park became a little more “mad” with the opening of the Alice in Wonderland attraction in Fantasyland. 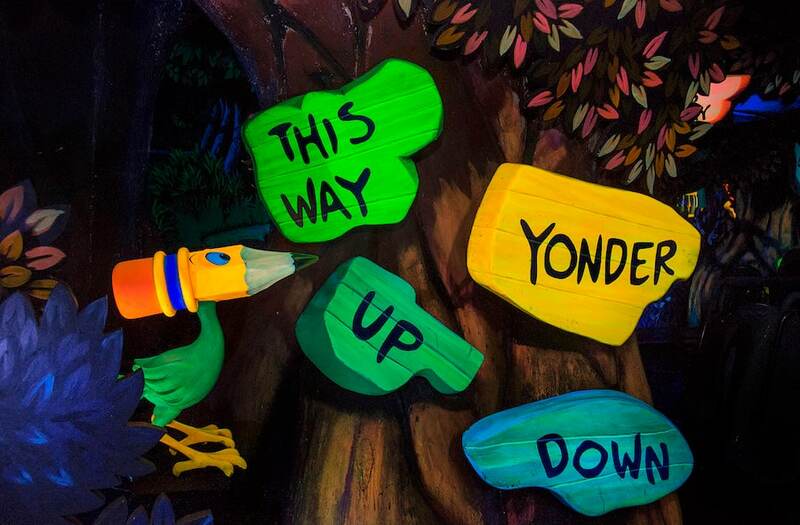 Since opening in 1958, this classic dark ride has immersed guests in the curiously wondrous world of Alice in Wonderland as they go down the rabbit hole on a journey to find the White Rabbit. This whimsical attraction is well-known for its use of color, optical illusions, and topsy-turvy design inspired by Disney’s classic 1951 animated film “Alice in Wonderland.” In fact, several of the people who worked on the film later joined WED Enterprises (now known as Walt Disney Imagineering) to help create shows and adventures for Disneyland park. 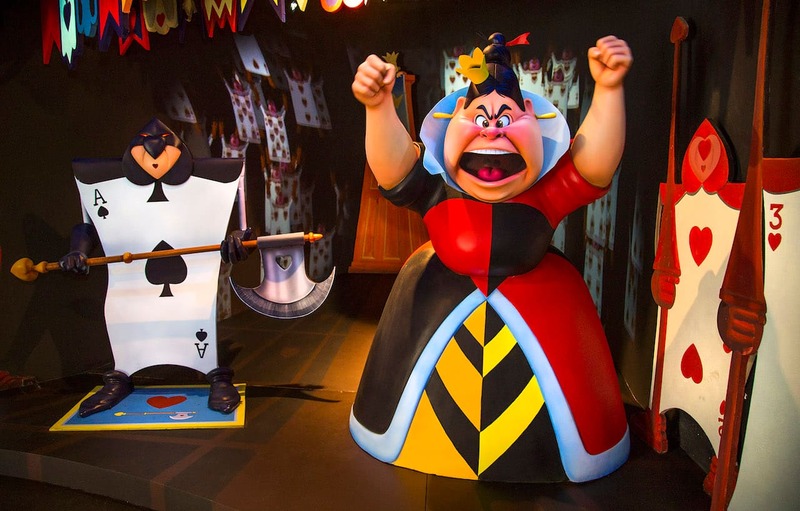 Their knowledge of animation was used to create a vibrant experience within the attraction. For instance, Disney Legend Mary Blair worked on the color design of the original film, and Imagineers used actual animation cels from the film to precisely color match the attraction’s scenes, including the singing flowers. Even Kathryn Beaumont reprised her role as the voice of Alice from the film when the attraction was updated in the early 1980s. In 1984, the attraction was redesigned as part of the “new” Fantasyland remodel and reopened with a total of 24 new sculpted figures, along with updates to the animation, lighting and special effects. 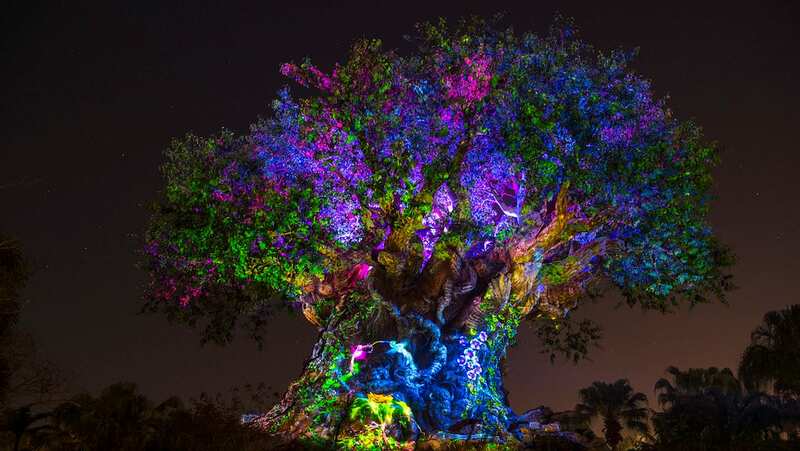 The attraction was once again updated in 2014 to incorporate new lighting effects and updates to the figures. 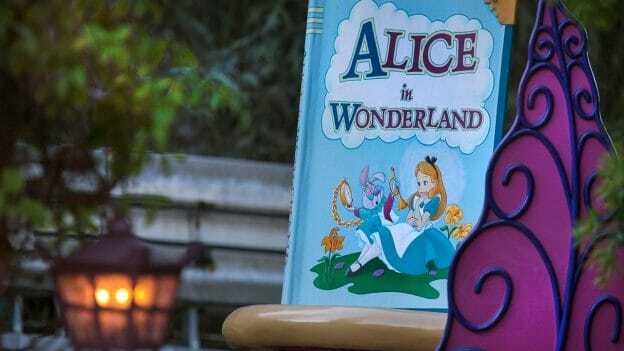 The Alice in Wonderland attraction is unique to Disneyland park, however the characters and story have proved to be a rich source of inspiration for Disneyland Resort attractions and entertainment. Alice in Wonderland is represented more often than any other animated film in Fantasyland at Disneyland park. 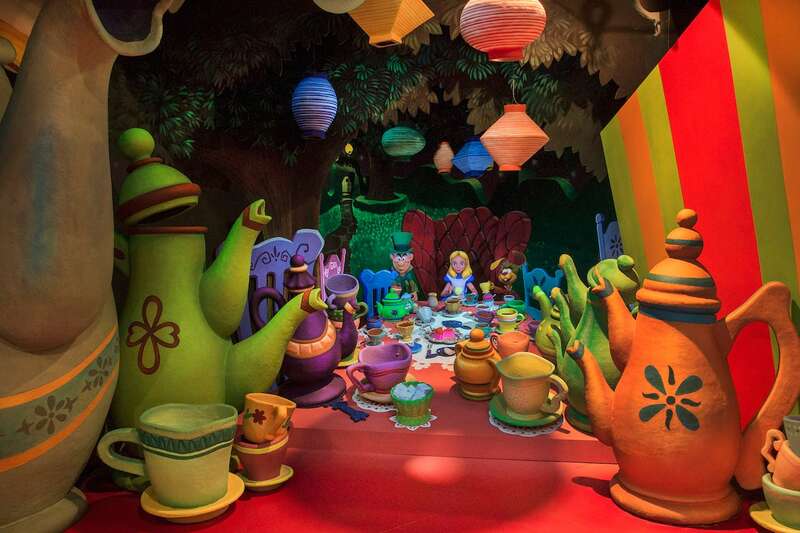 In addition to the Alice in Wonderland attraction, guests can go for a spin at the Mad Tea Party, shop in the cozy cottage of the Mad Hatter and see Alice’s village depicted in miniature from the Storybook Land Canal Boats and the Casey Jr. Circus Train. Alice is also a favorite character for guests to meet in the park! Do you have a favorite memory celebrating a very, merry unbirthday? Comment below with your favorite Alice in Wonderland memory. I have a picture of my 3 year old niece looking up adoringly at Alice. It was only after looking at the picture that I realized how much alike they looked. She recognized herself in Alice!